We enjoy playing Cards Against Humanity, but we find the time to setup to take too long, and we wanted to be able to play it anywhere. This includes locations where using an internet signal is not reliable, such as on a train that is frequently going into tunnels. 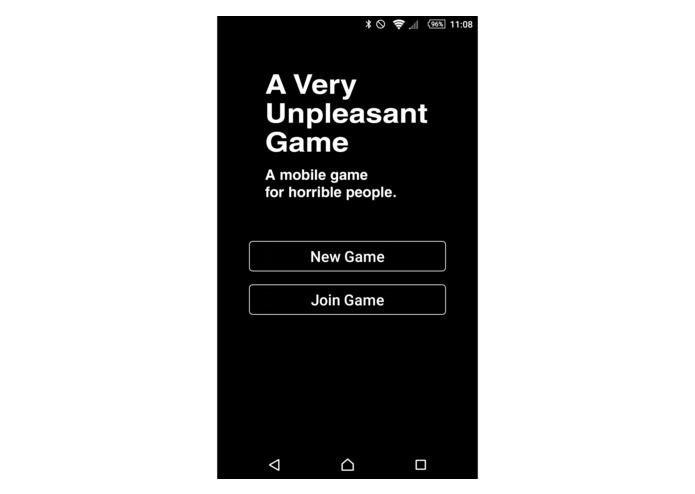 Allows a group of people to use their phones to play cards against humanity, achieved in such a way that after the initial sync (done with QR codes) is complete, no further communication is done between the devices. 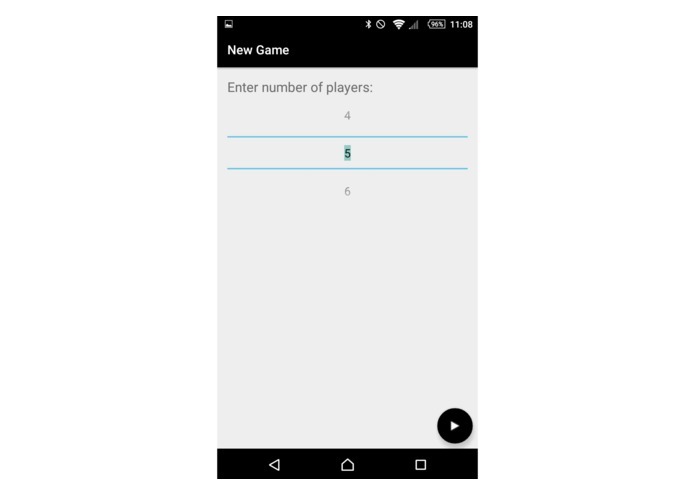 This was built in Android Studio for Android. We made a lot of use of the official Documentation for Android. We have also used the following library: link to read QR and the following library: link for encoding QR codes. Deciding how to achieve a no communication between any of the phones, yet keep them in sync. Also, to keep in like with MHL's Code of conduct, for the purposes of this Hackathon, we have short-listed cards to Safe For Work usage. No communication is required between phones, yet it is impossible for a white card to appear on more than one device at the same time. How RecycleViews and CardViews work in Android. Implementing this was trickier than we had expected, but we feel the end result is worth it. 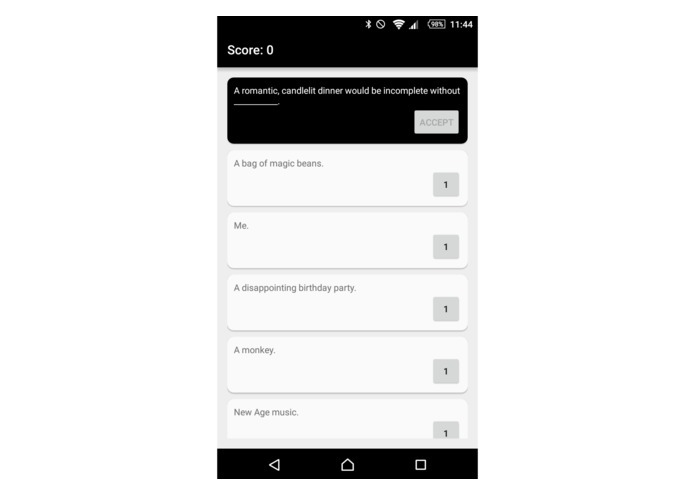 I worked on the UI of the app and the merging of activities from other members of the team. I also worked on censoring and testing. 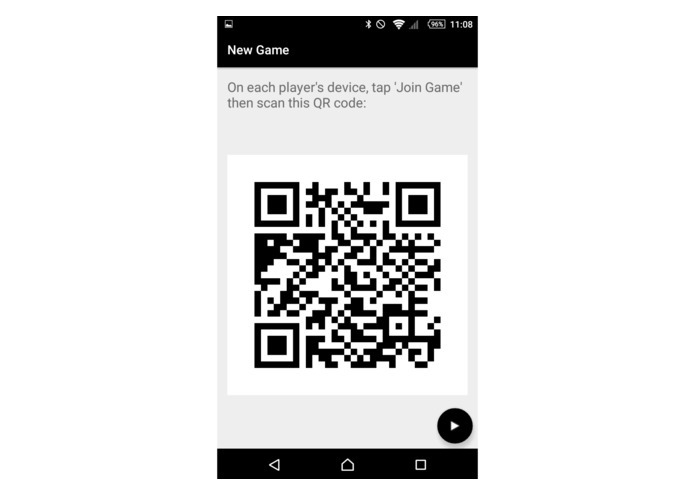 I worked on generating a QR code and designing the look of the application.